Adrian’s Safety Solutions will be offering demonstrations of its affordable warehouse pallet rack safety products at ProMat 2017, April 3-6 at Chicago’s McCormick Place. Manufacturing and supply chain professionals from more than 950 organizations will attend to discover innovative solutions and share insights to improve their manufacturing operations. Specializing in pallet rack flue space compliance and worker safety, Adrian’s manufactures a range of rack safety products that are easy to install and easy to use. According to Steve Dew, president of Adrian’s, its rack safety straps, nets, and cables quickly install with no tools or retrofitting needed. The specially designed hardware can be attached to an existing pallet rack upright in seconds. Dew explains that Adrian’s offers products to prevent items from falling into a work area or pushing into the flue space, thus solving many pallet rack safety and compliance issues within warehouses. 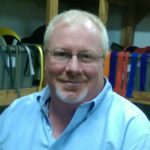 With experience in multiple industries beyond warehousing, such as manufacturing and retail, Adrian’s has worked with clients such as Home Depot, General Electric, Cummins, and Emerson to improve their warehouse safety. Exhibiting at booth #S1894, Adrian’s will offer demonstrations of its products, distribute free samples and provide additional information about its rack flue space compliance and worker safety solutions. “We are committed to advancing safety measures in the industry and are eager to network with other member professionals at ProMat 2017,” said Dew.